Wells-based songwriter Ant Noel and his backing band The Peabody Drakes play lively, upbeat original songs of coffee drinking, french love stories, ale, travelling and West Country rambles... a melting-pot of Celtic, Americana and klezmer and a good excuse to have a dance! His musicianship is exemplary, capable of playing not only the keys but also guitar, violin, harmonica, mandolin and anything else he gets his hands on! Barry Lane and The Fridge Mechanics showcase Barry's lyrical folk rock songs. Barry has been writing songs since he was 14. The band live in and perform in Bristol and the South West, most recently supporting the late Ian McClaghan from the Small Faces at the Thunderbolt in Bristol. They have been part of the Party in the City for the Bristol International Music Festival for three years running and have also appeared at the Victoria Park Community Festival and the Bedminster Art on the Hill festival of music in the park for two years. Appearing with Barry will be electric guitarist Mick Owen, from the Vibrators and the Rolling Clones, and the amazing punk-folk energy of James Anderson on acoustic bass. The Bookshop Band are Beth Porter and Ben Please. 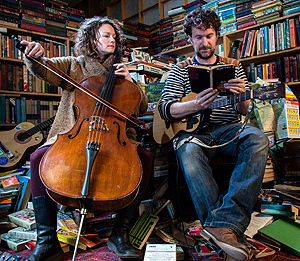 They write songs inspired by books, and play them in bookshops. 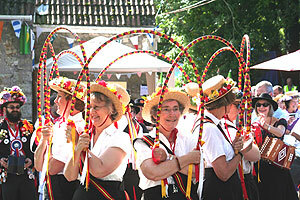 Beth Porter is well-known to Priston Festival-goers. She plays as a cellist for a number of musicians, including Eliza Carthy, as well as her own band Beth Porter and the Availables and string quartet The Stringbeans. Ben Please is a songwriter/guitarist. He often composes music for film and animation, including work on the BAFTA (2011) winning animation The Eagleman Stag. He is co-founder of the Bath arts / music / poetry monthly The Bath Burp, has a linocut studio, and occasionally works as an environmental filmmaker in East Africa. 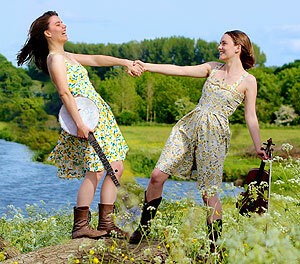 Twin sisters Laura and Charlotte Carrivick are widely known throughout the UK folk scene. 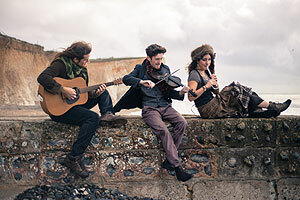 Their years of experience performing all over the UK and abroad have gained them a strong reputation for engaging live performances, multi-instrumental dexterity (fiddle, banjo, mandolin, guitar and dobro), tight sibling harmonies and finely crafted original songs. 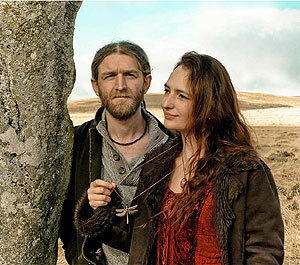 They have a unique sound incorporating their musical background of American bluegrass and old-time but also being influenced by English folk lore, having grown up in South Devon. Cathy is a sculptor from Somerset whose other passion in life is her music.She be performing a mix of her own cleverly crafted songs and favourite covers. Cathy has a rich velvety voice and not only sings sensitive ballads with an emotion seldom experienced but can bellow out the blues with equal expertise. She will be accompanied by long time musical partner Johnny Francis on second guitar. De Fuego is a sensational guitar duo, playing energetic instrumental flamenco and rumba-based music. 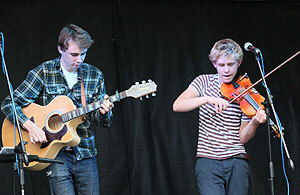 The group has come a long way since coming together in 2010 and their humble beginnings as buskers in London’s markets. Formed in '82 when Duran Duran hit the scene, Doreen Doreen are everything Duran are not. Dance away with some of the best (and funniest) cover versions you will hear including Abba, Queen, Ian Dury, Britney Spears and Tom Jones. Deservedly voted the third best band in Bristol (by the people) after Massive Attack and Portishead. "The Wall of Sound has been repointed"
You may remember this amazing duo from the 2013 Festival, or the gig they played in the village hall in 2014. The reviews say it all. We're delighted they're back! "their arrangements are at times bordering on breathtaking and are delivered with the enthusiasm, energy and undying self belief that belies their youth"
"absolutely blown away by their energy"
Raised in Alberta, Canada, Emma Hooper received a doctorate in Musico-Literary studies at the University of East-Anglia and currently lectures at Bath Spa University. A musician, Emma performs as the solo artist Waitress for the Bees and plays with a number of bands. She lives in Bath, UK. Emma will be talking about her debut novel Etta and Otto and Russell and James. She describes the book as “a love letter to my homeland, the Canadian prairies”. It’s a literal journey for Etta, 83, who walks from Saskatchewan across Canada to the ocean because she’s never seen it. She needs to reinforce who she is as she starts to lose her memory. Otto’s journey is a metaphorical one as he “stays home and has to learn to live by himself”. His physical journey lies in the distant past, when he joined up to fight in the Second World War and was shipped to Europe. 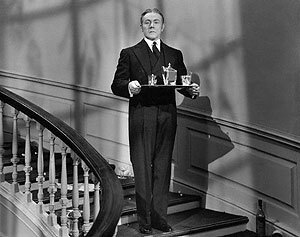 It is these memories that are starting to resurface as he waits for Etta to return. Based in Somerset, Emma Shoosmith combines acoustic, country and folk genres and makes it her own. Her distinctive pure vocals capture the melancholy content of her songs whilst mixing it up with catchy melodies. The influences from the likes of Gabrielle Aplin and First Aid Kit make for an easy listen. 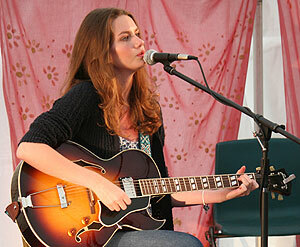 Emma will be joining Reg & Lily Meuross on the free Village Green stage on Sunday afternoon. 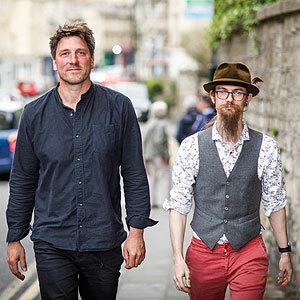 Foreign Affairs is an exciting band headed up by two Keynsham brothers, Adam and Lawrence Purnell. The talented team give us a folky, pop sound all their own. 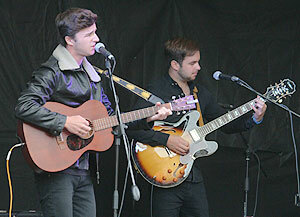 They played the village green stage in 2012 and since then have toured nationally and appeared on radio. Adam is no stranger to Priston Festival, many will remember his breathtaking classical guitar concert of 2011. They also gave a great performance at the 2013 and 2014 Priston Festivals. Frobisher will be serving light refreshments and subtly blended cocktails of old and new classics with dashes of the unexpected. Neil Smith on guitar so the unexpected expectations are high. 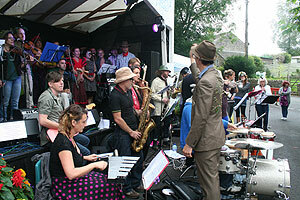 The Fantasy Orchestra is a 20+ piece Bristol and Paris-based orchestra. It is led by Jesse D Vernon (also of Morning Star) . 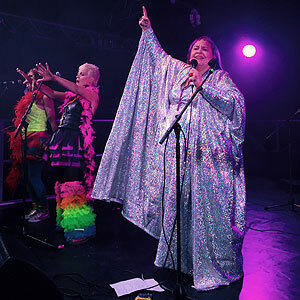 Their eclectic repertoire, gleaned from 50s and 60s film soundtracks by Morricone, Rota, Barry, Mancini and Bollywood is bolstered by rock and pop favourites from the likes of Jimi Hendrix, Led Zep, The Beatles, Queen and David Bowie. Expect the exotic; psychedelic loveliness; rousing choral noise; some choice costumes – and a musical saw. The orchestra perform in full regalia! 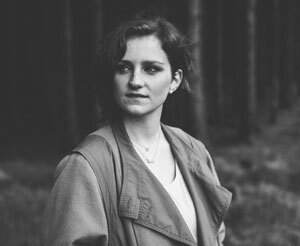 Described by the Irish Times as 'a bit of a wonder' Hannah McPhillimy's debut E.P 'Seeing Things' was launched in 2013 to a string of sold out shows across N. Ireland, which led to slots on RTE's Other Voices, SXSW, as well as appearances alongside SOAK, The Gloaming and Foy Vance. In the years following, she has had a hand in a number of diverse projects - not least touring America as a member of synth-pop band Go Wolf and collaborating with novelist Jan Carson – before turning her attention to her second E.P ‘Wind Machine’. Hannah’s latest release showcases her unique brand of soul-searching, jazz-inflected indie-pop, as do her ‘quietly captivating’ (Culture NI) live performances. Hannah will be joined by Owen Denvir on viola and Lizzy Donaghy on cello. 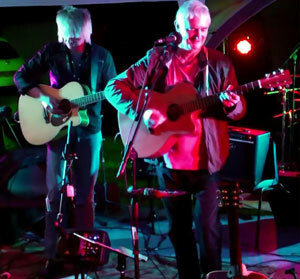 Helen James and Paul Barclay made their debut performance at last year’s Priston Festival. The duo have since recorded their first CD, ‘In the Moment”, featuring Alice Barclay on violin and the specially commissioned song “ The Last Veteran” written by Helen for the 2014 Priston Festival. Helen James is a folk singer and consummate guitarist encompassing all styles from classical through to Brazilian Jazz. Priston’s Paul Barclay is a folk singer of many years experience and has “found his solo voice” through Helen’s crafted arrangements of traditional and original folk songs; rich duetting harmonies with guitar instrumentals. Expect anything from the beautiful melodies of the established folk repertoire through to the wicked humour of Jake Thackray’s classic songs. Helen and Paul will also be joined by Alice Barclay on violin, Camilla Litchfield on cello and Ken Dale on keyboard. Isobel Holly is a passionate, vibrant, singer-songwriter from Bath with a talent and maturity that belies her young age. Having been composing her own music since she was 10, in 2015, Isobel recorded and released her debut EP, The Right Way Up. This has attracted the attention of BBC Introducing in the West, resulting in several BBC Radio airplays over the summer and a live filming and recording session at BBC Bristol for their Garden Session series. Isobel loves to perform live as often as time allows and does so regularly around Bath and Bristol. She’s recently played in venues such as the Bedford in Balham London and Komedia Bath, and the iconic Moles, Bath, taking after Oasis and Radiohead. 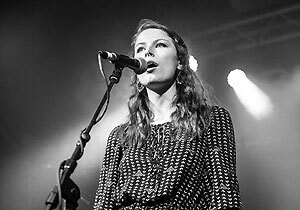 Over the summer of last year, whilst in New York on a music course, Isobel also played a few gigs in the big city, including a performance at the famous Bitter End, following in the footsteps of an array of talent, including Carol King, Billy Joel, Joni Mitchell and Stevie Wonder. 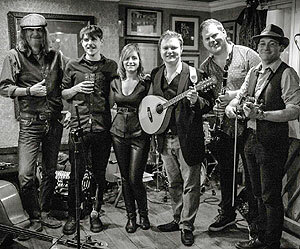 Jekyll & Hyde are: Felix Churchill-Moss - Mandolin/Fiddle/Vocals, Joe Hardman - Accordion/Bodhran, Miles Stringer - Guitar/Banjo/Vocals. Since 2014, Jekyll & Hyde have been playing as a trio, flawlessly reworking traditional tunes and pieces to produce compositions and transform them into evocative and expertly crafted musical journeys. Praised for becoming ‘the new face of contemporary folk music’, They see it as their aim to produce expansive sounds with constant injections of tension and climaxes. A singer of potent songs, stunning harmonica player, guitarist and producer, Jez Hellard thrives on music of all stripes. As a harmonica player, he`s renowned as an adept improviser in most styles of music and loves to be put on the spot, either on stage or in the studio. Many of you will have seen Jez at the launch of his Heavy Wood album in February in Priston. Jez will be performing as guest with Nathan Ball at the Village Green Stage on Sunday. 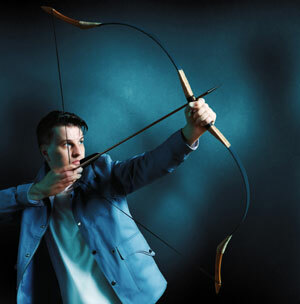 Jim Moray is one of the most consistently inventive musicians working in English traditional music today. Winner of five BBC Radio 2 Folk Awards, after five ground-breaking albums he now finds himself at the forefront of a new folk revival in the UK, and hailed as a pivotal influence by a new generation of folk musicians. Moray’s career has been a continuous avowal of folk’s relevance to contemporary life and its total indivisibility from the impulses which shape the very best rock and pop. He deploys beatboxes and melodeons, electric guitars and thumb pianos, mandolins and rappers. He sings with the kind of English soul which has no home century. Jim Moray has been nominated as False Lights for the R2 Folk Awards - Best Album. Originally from Lincolnshire, the young Jimmy Brewer grew bored of his rural surroundings and the manufactured pop music of the day. Around the age of 8, Jimmy found refuge in a cupboard under the stairs. Housed in this cupboard was his parents’ record collection… For hours, often skipping school, Jimmy would sit with his Argos catalogue guitar trying to mimic the sounds he heard. The Everley Brothers, Buddy Holly, The Beatles, The Rolling Stones and Elvis Presley all helped to develop his love of a good melodic pop song. In short, if you are a fan of great songwriting and you enjoy artists such as Neil Young, Ron Sexsmith, Ryan Adams and others like them then Jimmy Brewer will sit happily next to them in your collection. Recently Jimmy has played several dates of Joan Armatrading’s final major tour culminating in a performance at London’s Barbican Hall. His concise and well thought out lyrics have intrigued critics around the world and his soulful delivery and natural ear for melodies will delight you. 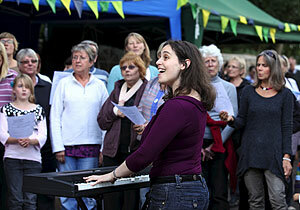 Jo Sercombe runs The Big Sing workshop which is open to all, regardless of age, skill or experience. Jo brings an informal, passionate style to her teaching. Reaching out to participants, she not only gets them to connect with her, but also with each other in a quite unique way. Have no doubt that you will feel genuinely inspired, uplifted and buzzing after the session with Jo! Hailed by Mark Knopfler, Kevin Brown is a living legend and quite simply one of the UK’s finest acoustic blues guitarist on the Circuit today. From the main stage of Glastonbury to the beer joints of Texas and with 11 albums to his credit, Kevin has a growing number of loyal fans who not only love his touch and tone but have grown to admire his heartfelt songs, often delivered with a great sense of humour and dry northern wit. Music for the heart and feet, the perfect night out ! We look forward to welcoming Kevin back to the Priston Festival. 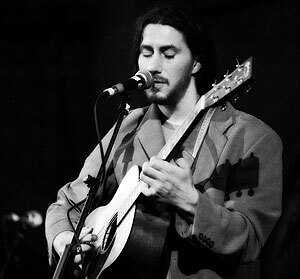 Nathan Ball is a UK-based singer, songwriter and guitarist whose unique blend of thought-provoking lyrics combined with funky and folky melodies have endeared him to many a festival crowd. His beautifully written songs reveal depths of humanity and a keen eye for metaphor, while his intricate, fingerpicking style makes every note from his guitar shine. In 2011, Nathan was a finalist in the MOJO Magazine Awards New Voice category. Folk Radio recently described Nathan as "an excellent guitarist with a smoky edge to his voice" and Folking.com refers to him as "the underground John Martyn". Nathan Ball will be performing with Jez Hellard and Nye Parsons. The Old Somerset Russet Village Band is a group of local instrumentalists who get together to play mainly traditional music. Typically the group consists of a mixture of wind, string and free reed players. Bring your instrument and have a go at playing some good old tunes danced to by your great, great grandparents, arranged in four parts. Music provided, but bring your own music stand if you have one. All welcome, but some experience of sight reading will definitely increase your enjoyment! 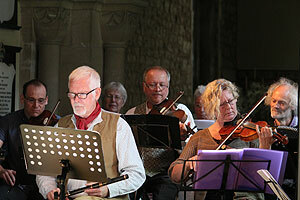 The Old Somerset Russet Band will also be providing the musical accompaniement to the Village Supper, a great way to round off the Festival weekend - all welcome! Priston audiences will require no introduction to this amazing duo - it's about time we had them back! 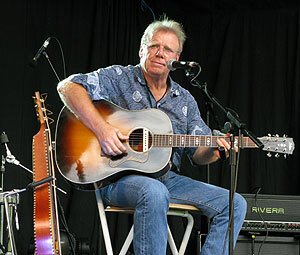 Widely regarded as one of the best slide guitarists in the UK, Lancashire-born multi instrumentalist Phillip Henry has been described as "one of the most extraordinary musicians around". Phillip, who studied in Calcutta with India's premier slide guitarist Debashish Bhattacharya, is also a virtuoso on the harmonica and brilliant on beatbox harmonica whilst Brixham-born singer-songwriter Hannah, is a skilled fiddler, viola and banjo player with a real lightness of touch, a distinctive voice and a gift for tapping traditional music veins to create contemporary songs. 2014 Radio 2 Folk Awards Best Duo - nominated again in 2016! Somerset-based singer/songwriter, Reg is an exceptional teller of tales set to great melodies and delivered with a spell-binding voice. His songs include "And Jesus Wept" - the story of Private Harry Farr, a WW1 shell-shock victim shot for cowardice. Other songs interweave historical characters with eternal themes. His recent albums England Green & England Gray and December have both been greeted with critical acclaim. 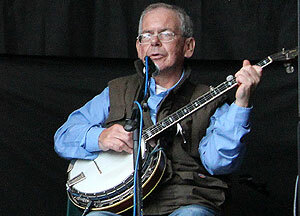 We look forward to welcoming Reg, our Patron Artist back to the Festival this year. Reg will be joined by his singer-songwriter daughter Lily Meuross, and Emma Shoosmith on the free Village Green stage on Sunday afternoon. original new songs, delivered with passion, energy and plenty of silly banter! celebrate sea shanties, but include many other songs with a watery theme. at our bad jokes.... Come and get nautical with the Trowmen! 'A voice to die for' - John David, producer. 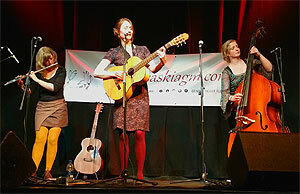 Saskia & the June Apples perform heartfelt atmospheric folk/pop, passionately sung over classical and acoustic instruments. Expect engaging songs, captivating instrumentation and crystal clear vocals. Frequently compared to Joan Baez and Eva Cassidy for her enchanting tones, creative melodies and her perfect, natural sound, Saskia's original songs draw on the genre's of Americana, roots & darker folk music. 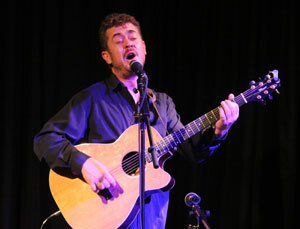 “…a fine singer-songwriter…wonderful voice and great guitar playing” Johnny Coppin, BBC Radio Gloucestershire. Hailing from Sherbourne, Stef Mizrany sings and plays rhythmn guitar with Homesick Gipsy and has run music sessions at Priston and other local festivals. She will be performing in the Chill Tent on Saturday afternoon. 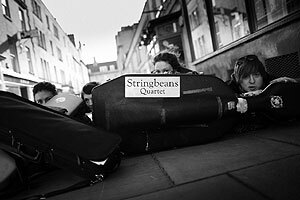 The Stringbeans are Sue Lord, Ian Vorley, Emma Hooper and Beth Porter (cf. the Bookshop Band). The performance will be preceded by a talk by Emma Hooper about her debut novel Etta and Otto and Russell and James. Thirsty Jenny are a Somerset folk collective originating from Wells Blue School who thoughtfully arrange both trad and modern tunes and songs. "Our music is a sometimes lively and sometimes reflective, both traditional and modern and includes self-penned tunes. We all love arranging instrumental music, and alongside this the group contains several strong singers, so our set lists are always varied. At the end of the day though, we always love it if we can get a really engaged audience, and maybe even get them to sing along or dance. " Come see us for some top notch toe-tapping! 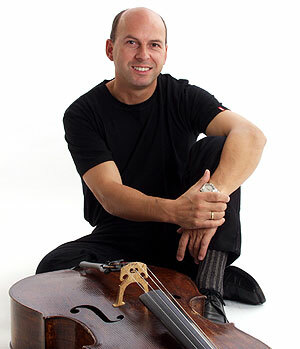 Tim is an award-winning cellist of world renown. He studied with Jacqueline du Pré, has worked and recorded with many of the greatest conductors including Gergiev, Previn, Haitink, Sir Colin Davis, Sir Andrew Davis, Rostropovich, Menuhin, Harding, Xavier-Roth, Chung and Tortelier, and won two medals at the prestigious Tchaikovsky Competition in Moscow. Priston is very fortunate to have the chance of hearing him perform. Includes performances of Bach suite no. 1, Britten suite no. 1 and Bach suite no. 3. Tour of the Flags will exhibit a collection of large silk flags handcrafted by groups of young people from Radstock and the surrounding areas in association with DNA arts. Since its creation the exhibit has appeared at a number of local events. The flags and bunting are a celebration of Radstock and the waterways running through the area like the River Somer and Wellow Brook. The flags will be erected between the Church and the Village Hall car park. On Sunday evening in Priston Church, Alice Barclay and Lissa Carter will read stories and extracts on the theme of Water & Journeys to link with the theme of the flags display. No tickets required. U R S A is the brand new solo project and alias of Bristol based musician Helen Stanley. With the help of her musical friends she weaves emotive and at times ethereal arrangements of her songs written with her voice and piano at the helm. An acoustic ensemble comprising four experienced musicians who have a collective memory of hundreds of songs and tunes, and who now take pleasure in playing and singing these together. From Balkan folk tunes to popular ballads of former times, you never know what they will come up with next. 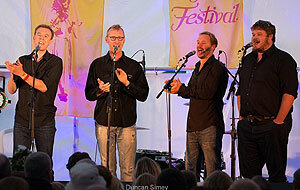 They are Rob Eyley on accordion, Simon Fossey on banjo, Lucius Redman on clarinet and John Boston on guitar. Will Lawton last appeared at Priston with The Home Fires. He is currently writing and recording his first solo album with percussionist, Weasel Howlett. The two started playing together in 2015 and the percussion brings a unique dynamic and fresh energy into the songs that Will has written on the piano. For further information please visit www.willlawtonmusic.co.uk.